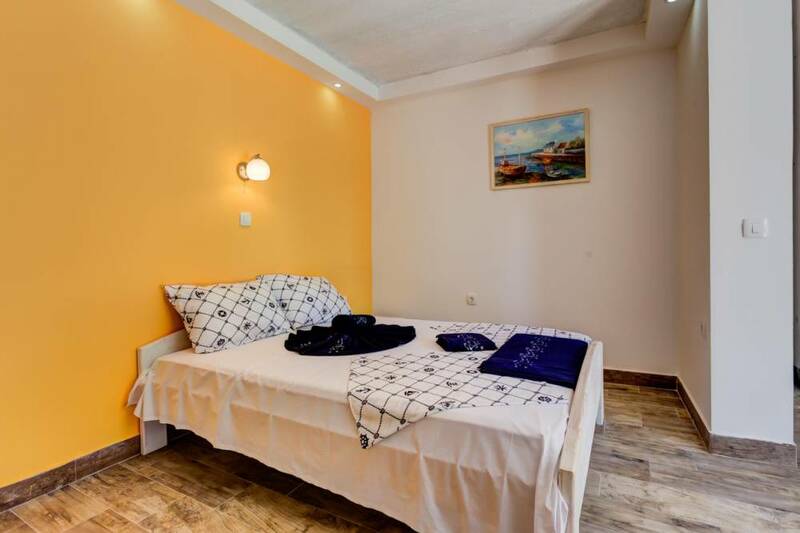 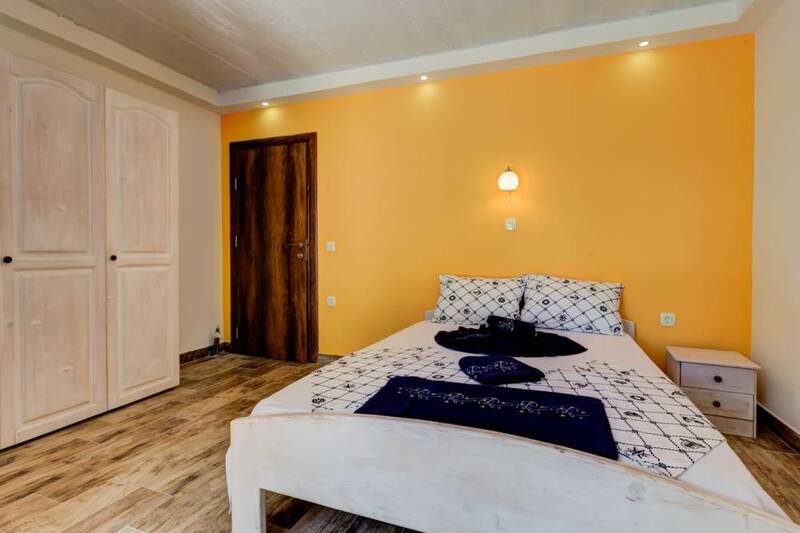 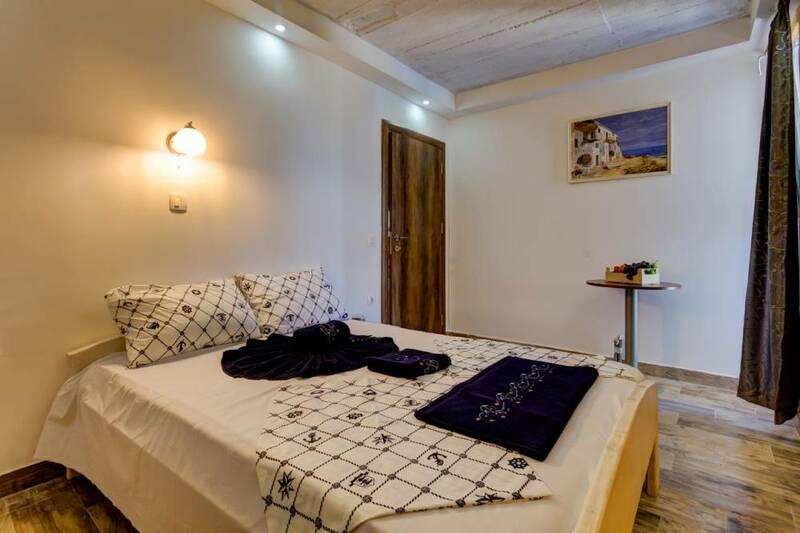 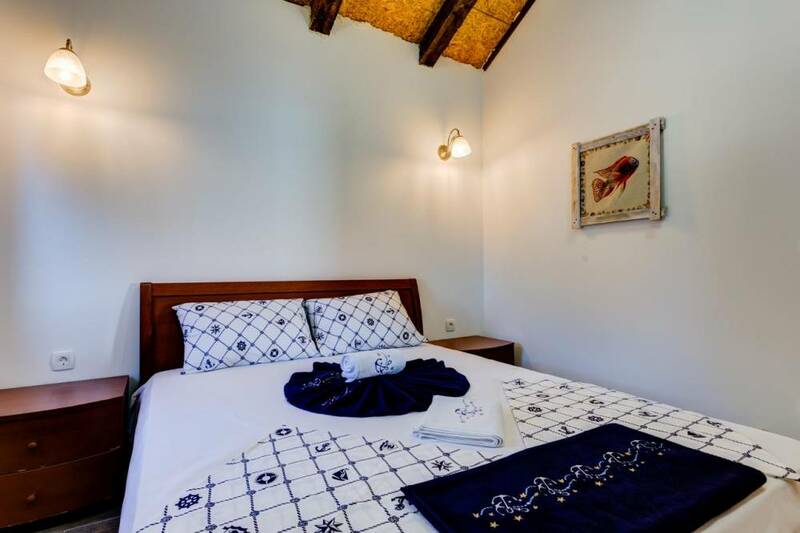 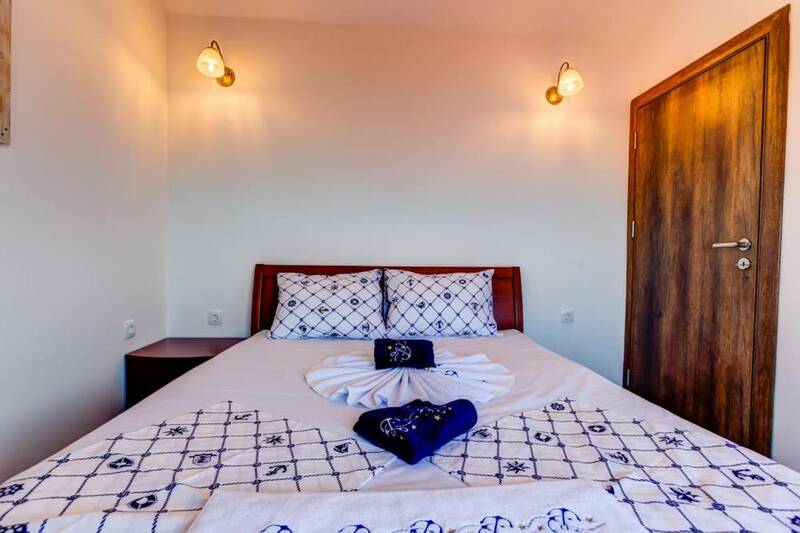 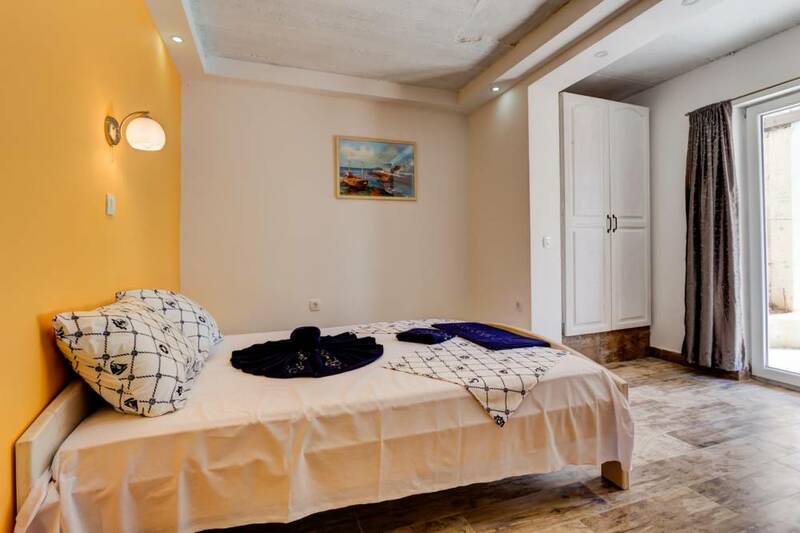 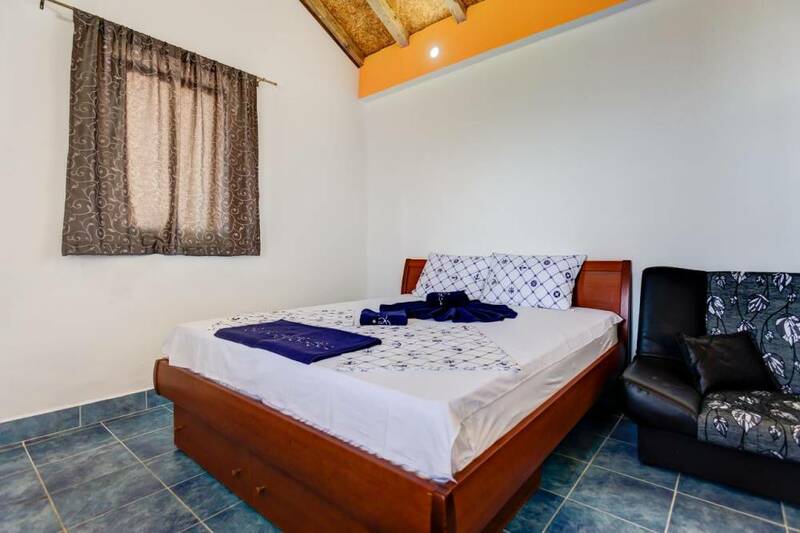 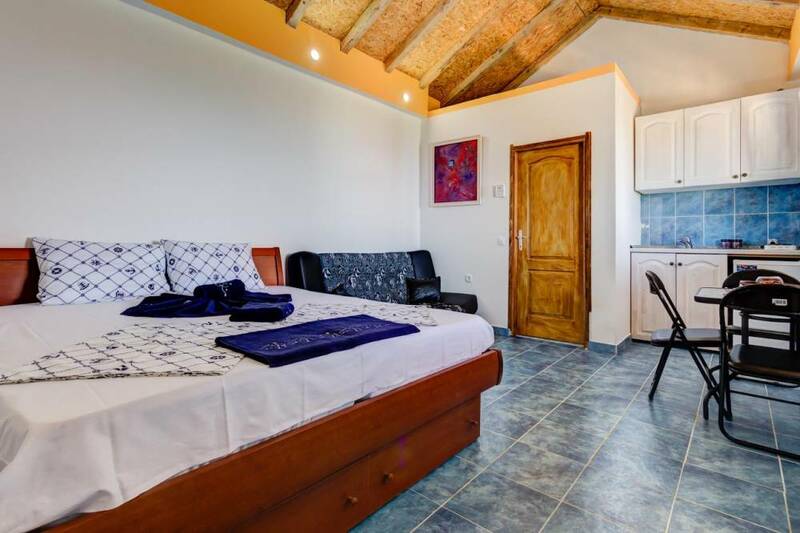 Villa size: 300 m², Bedroom 1: 1 sofa bed and 1 large double bed, Bedroom 2: 1 large double bed, Bedroom 3: 1 large double bed, Bedroom 4: 1 large double bed, Bedroom 5: 1 large double bed, Bathrooms:3 - This villa has air conditioning. 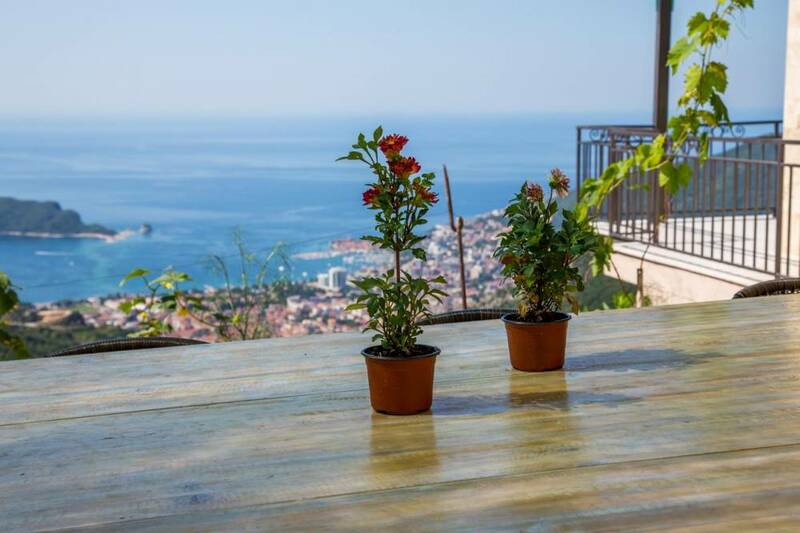 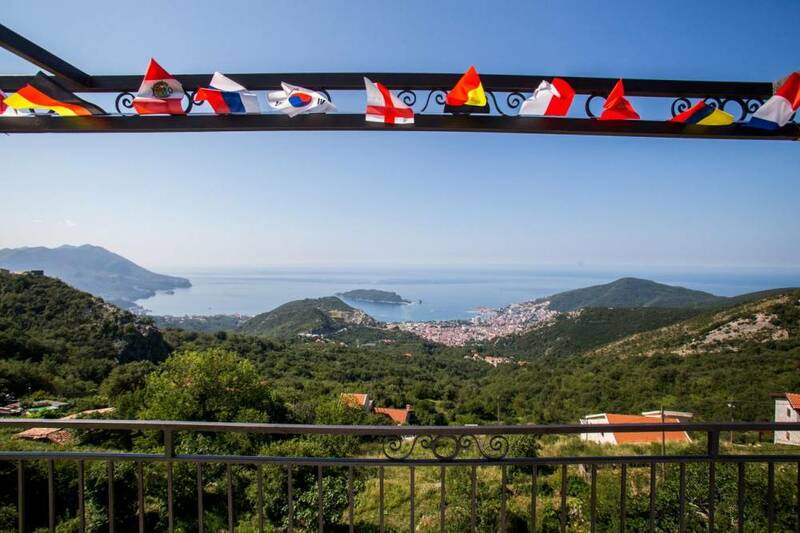 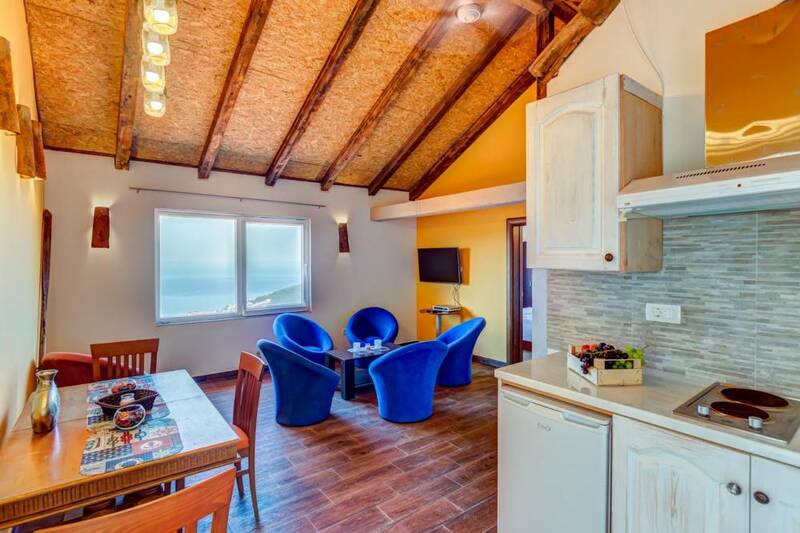 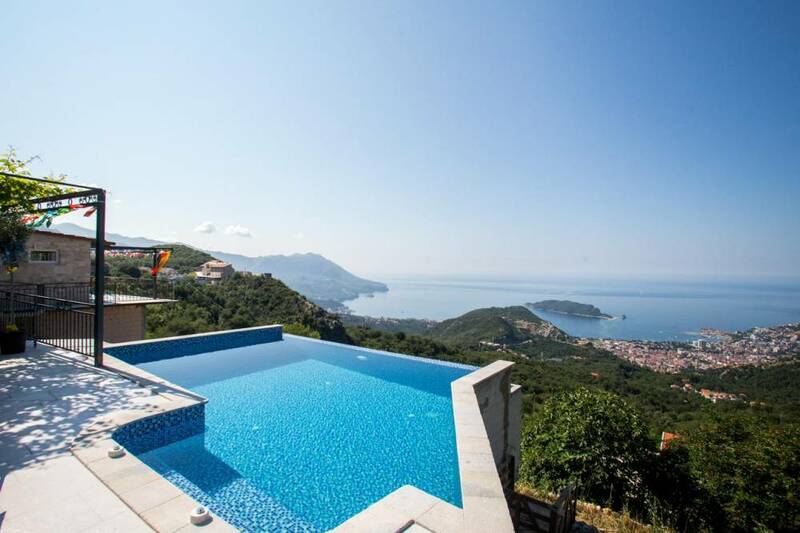 Villa Adriatic Horizonte is located in Lapcici,in Budva. 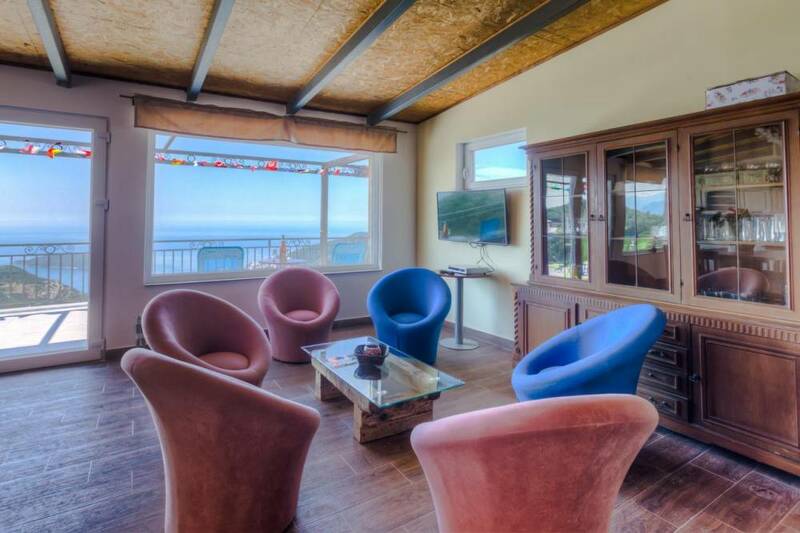 It has 300 m2 and is the right choice for socializing with friends and relatives in as many numbers as possible. 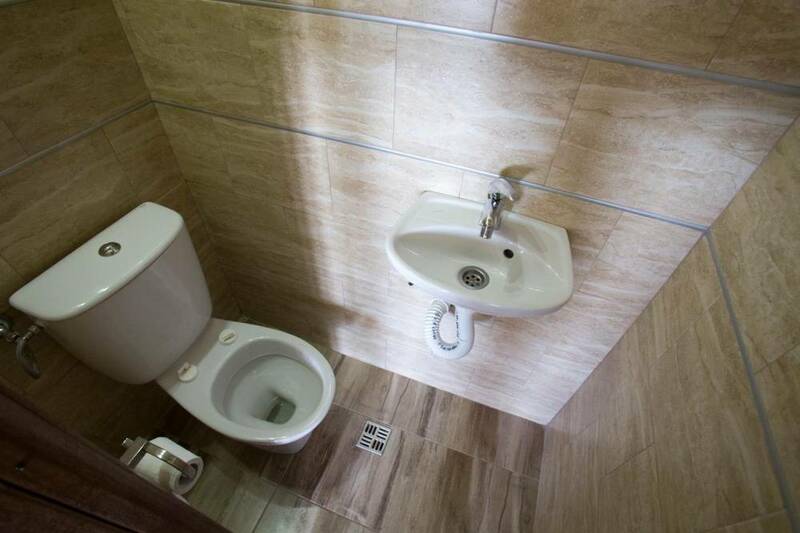 Also, you have the opportunity to use all the necessary things for a pleasant stay in it. 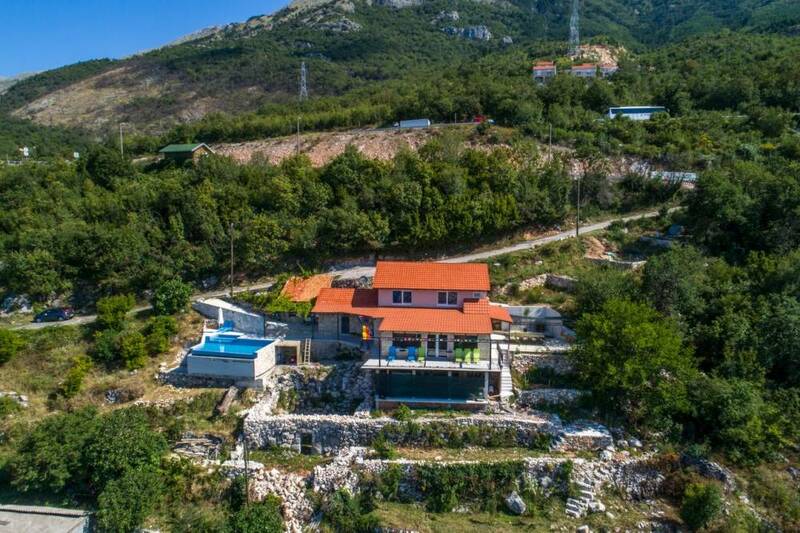 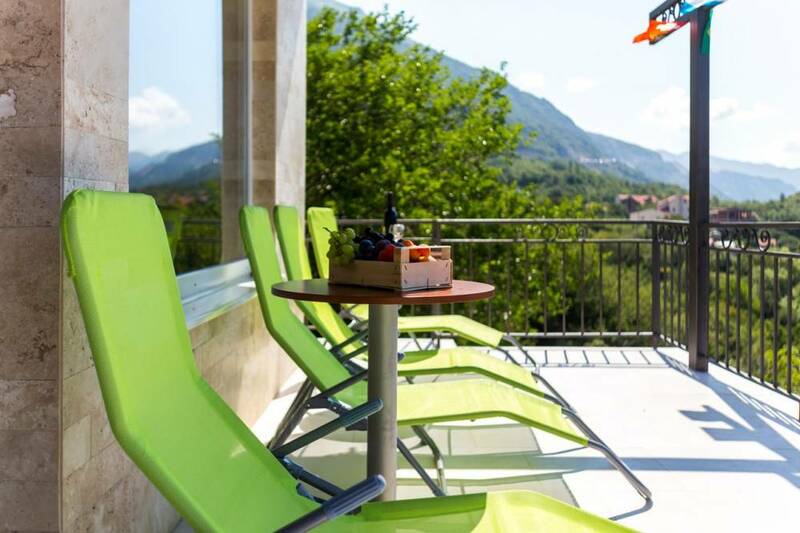 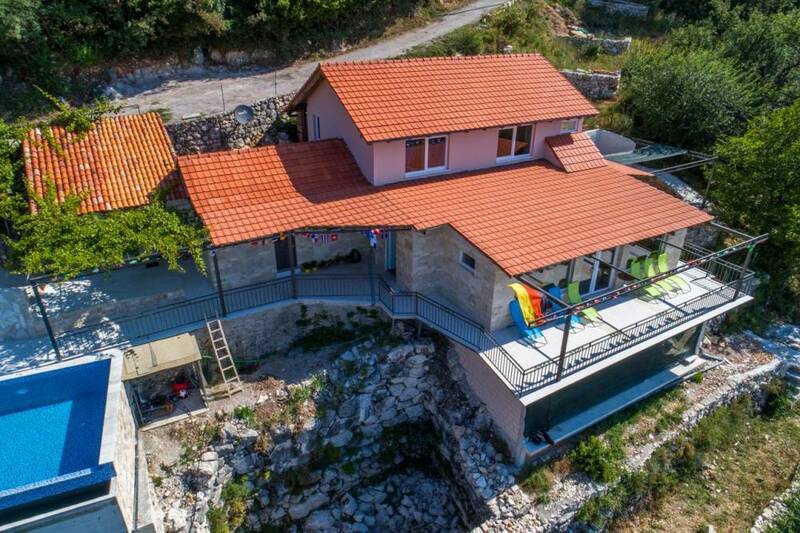 This villa has 5 bedrooms, a living room, 3 bathrooms , a kitchen, a dining room and a terrace from which you will have an unbelievable view of the pool and the whole Budva. 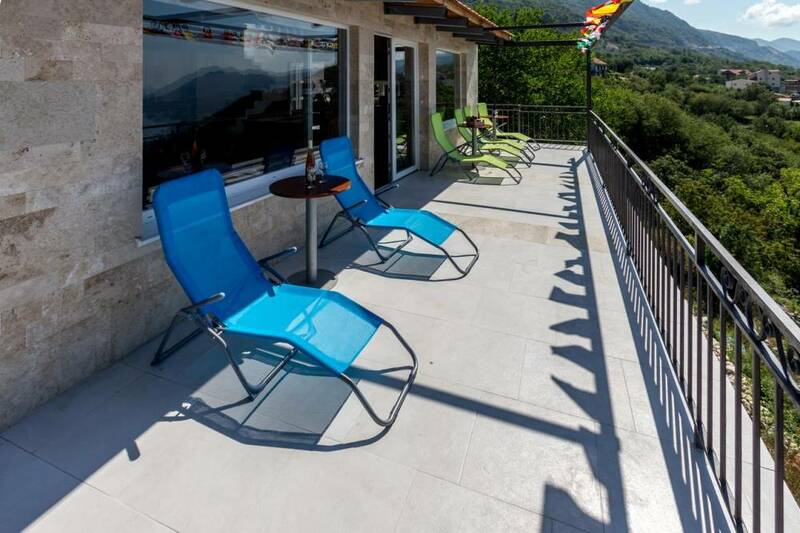 This villa is equipped with 5 double beds as well as a sofa that has a stretching mechanism. 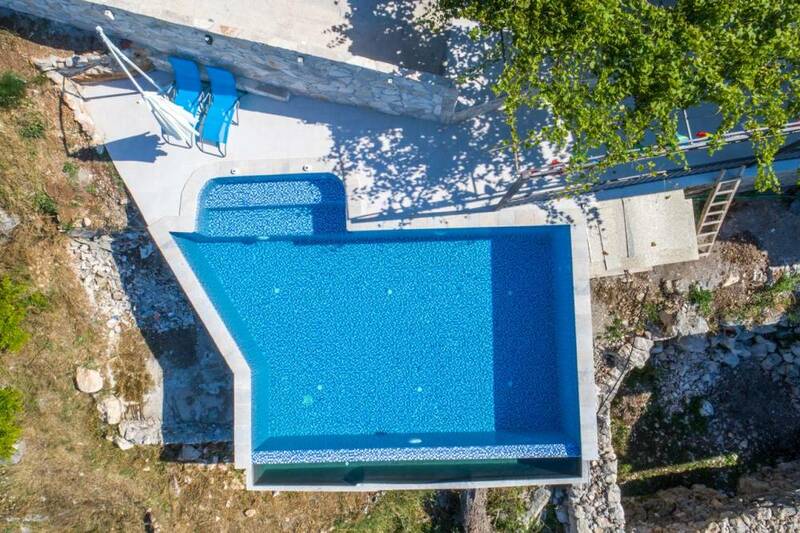 It also has a private swimming pool, as well as parking facilities that stand out to the guests of the villa at any moment. 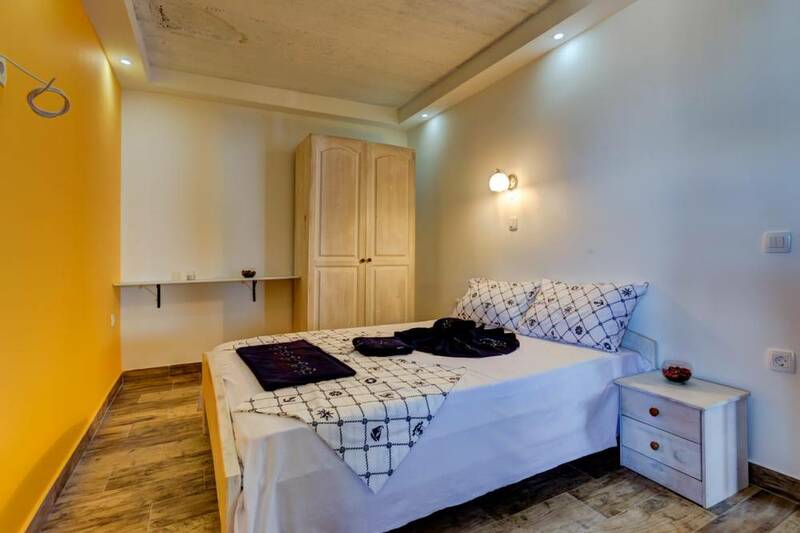 In the whole facility you have the use of WI FI Internet connection, while on your screens almost all channels covering events from all over the world can be found. 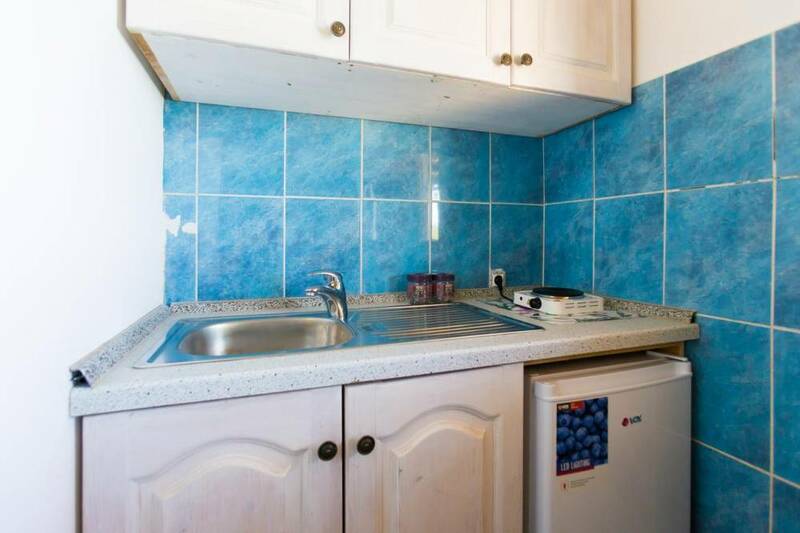 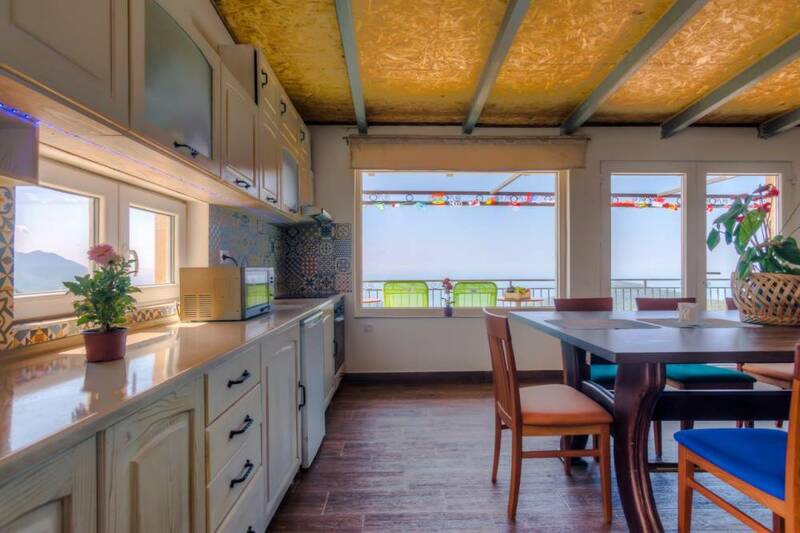 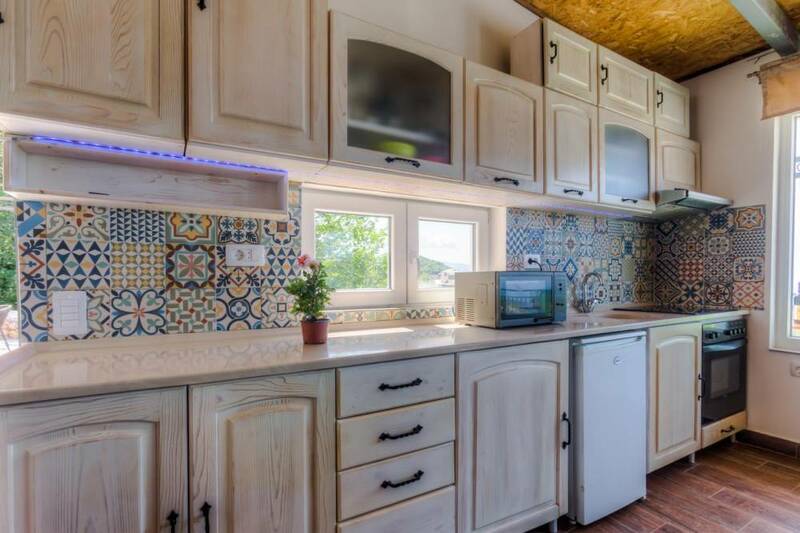 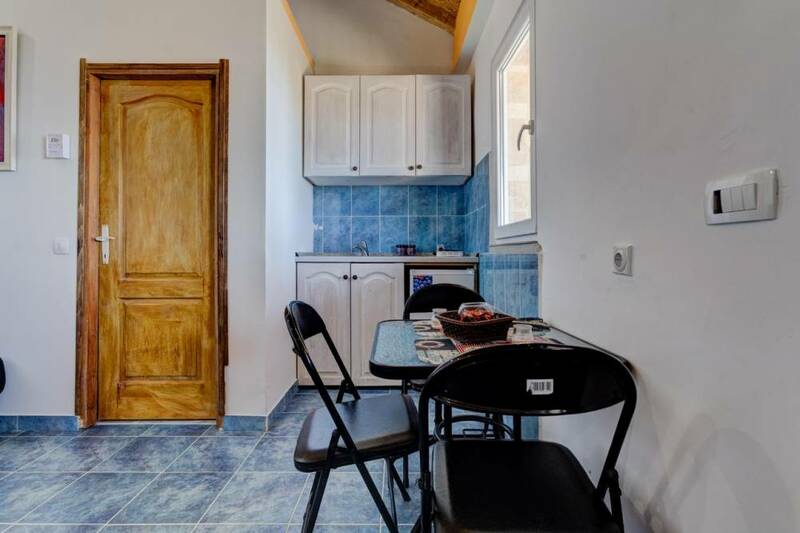 In the kitchen equipped with all necessary elements, there is a fridge, coffee machine, microwave, stove, dishes, as well as a dishwasher, a garbage can. 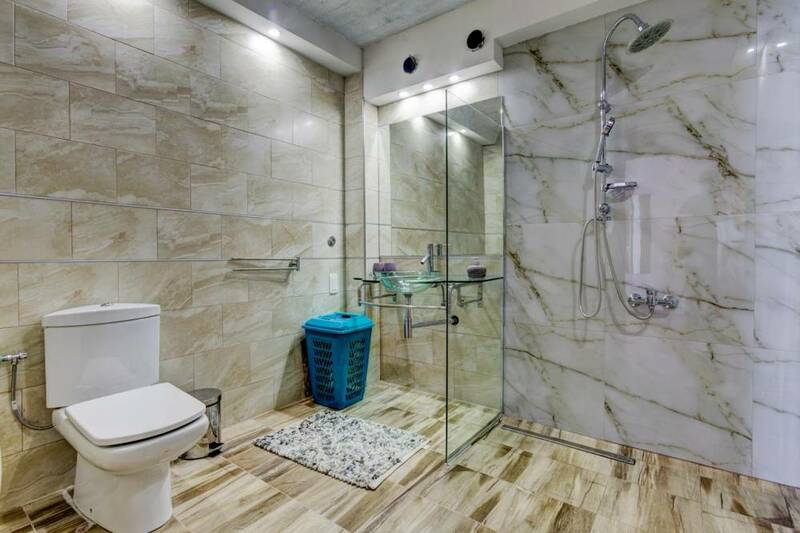 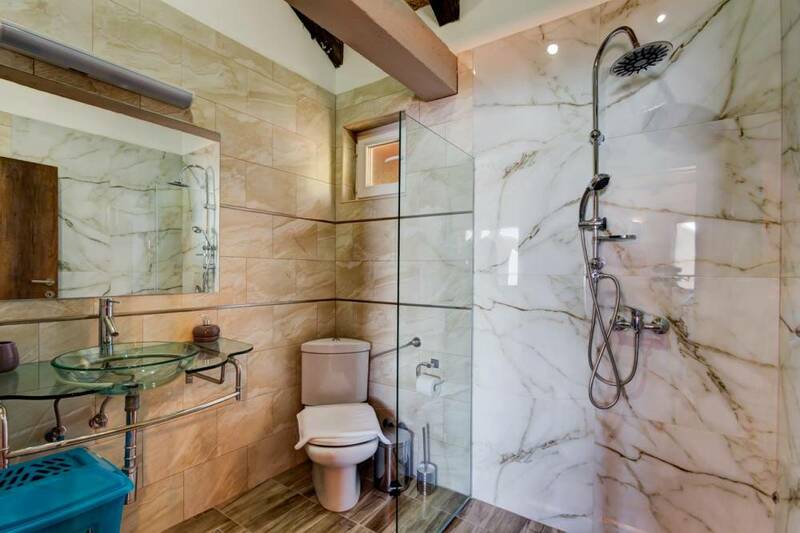 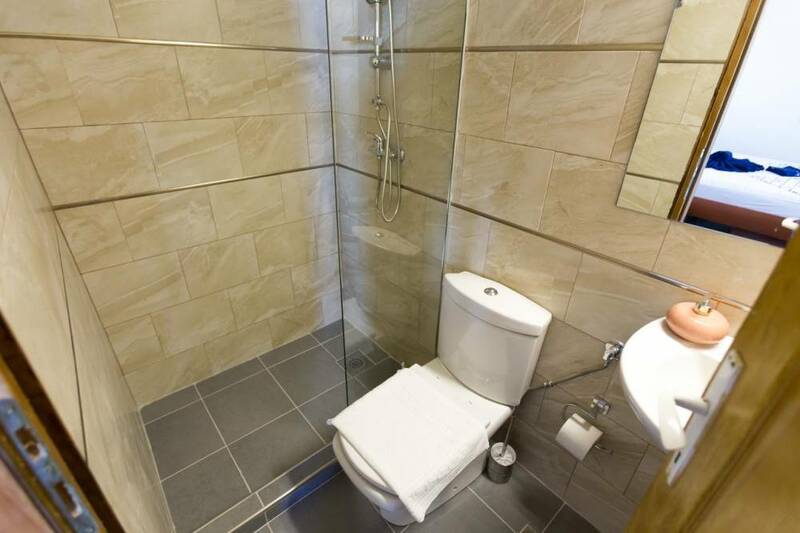 In both private bathrooms, you can freely use clean towels that are available to you in an unlimited number, hairdryer, shower .. 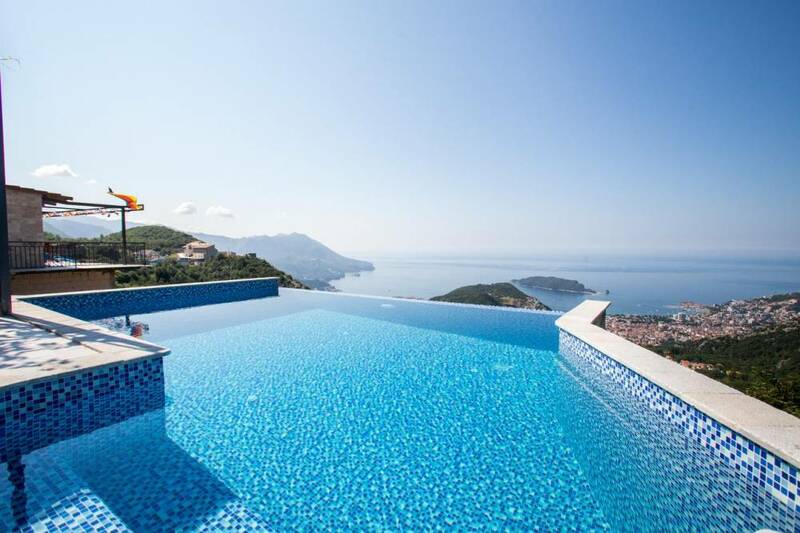 The private pool located in this villa provides you with an unforgettable view of the sea. 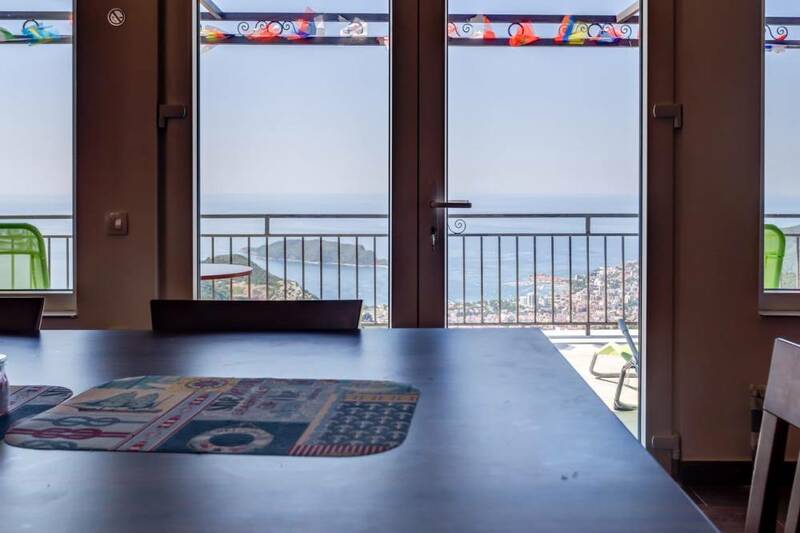 Imagine opening the shutters every morning and taking in the expansive views of the sea and lounging in the tranquil outdoor living space. 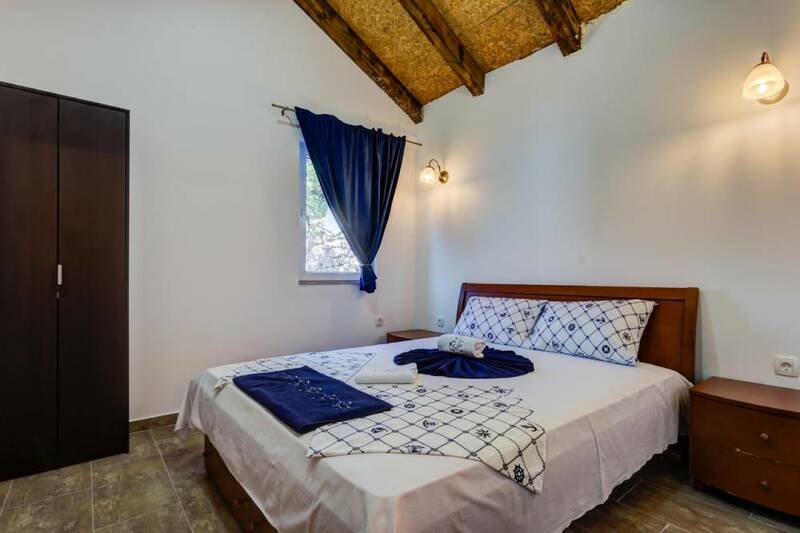 Spend the day lounging next to your private pool, soaking in the Mediterranean sun or gazing at the stars from your terrace. 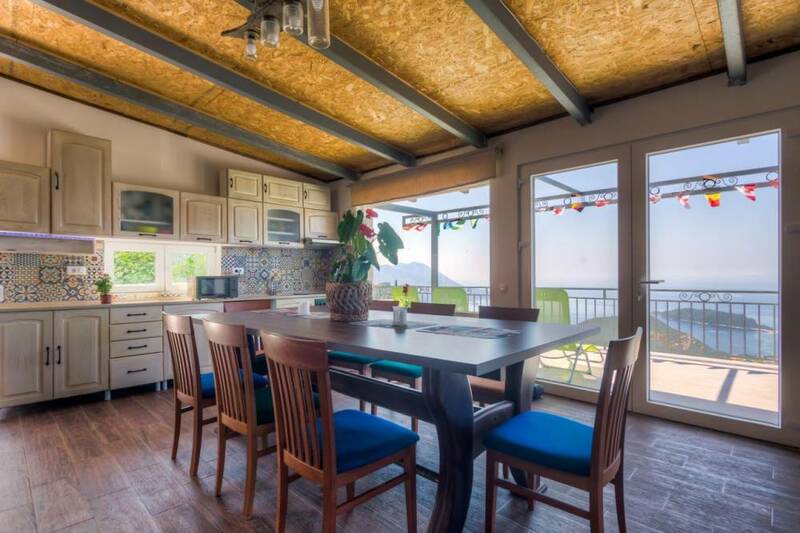 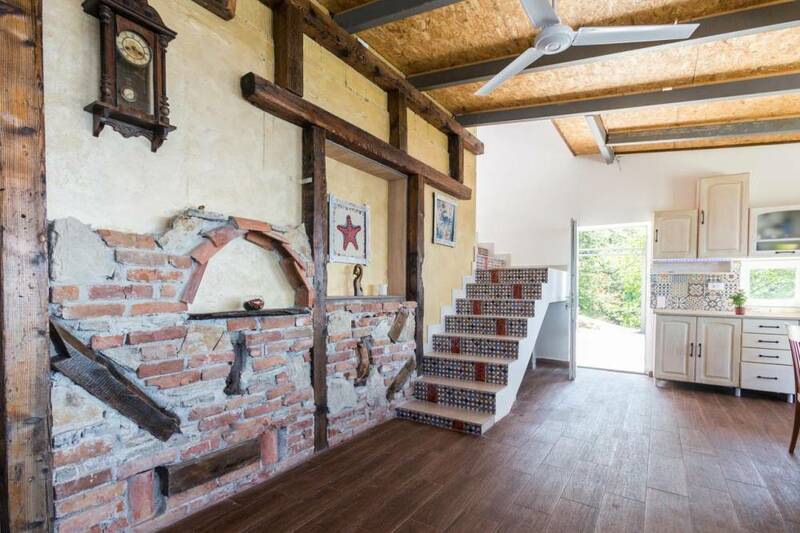 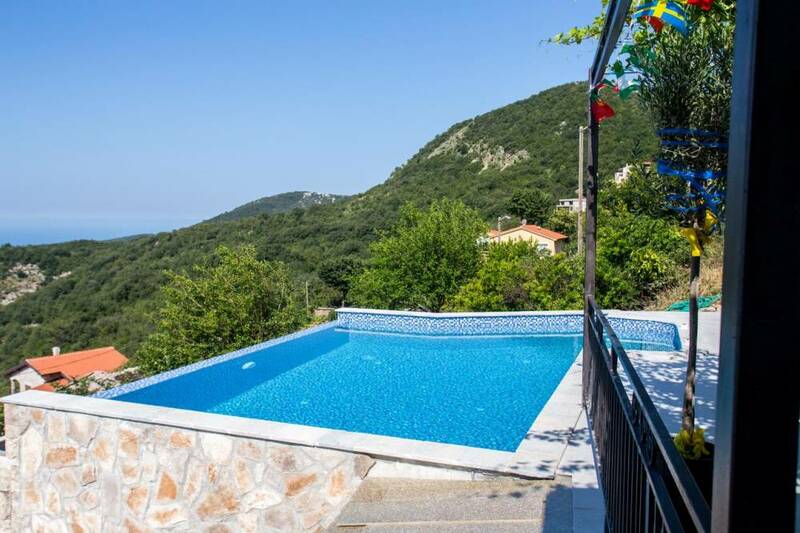 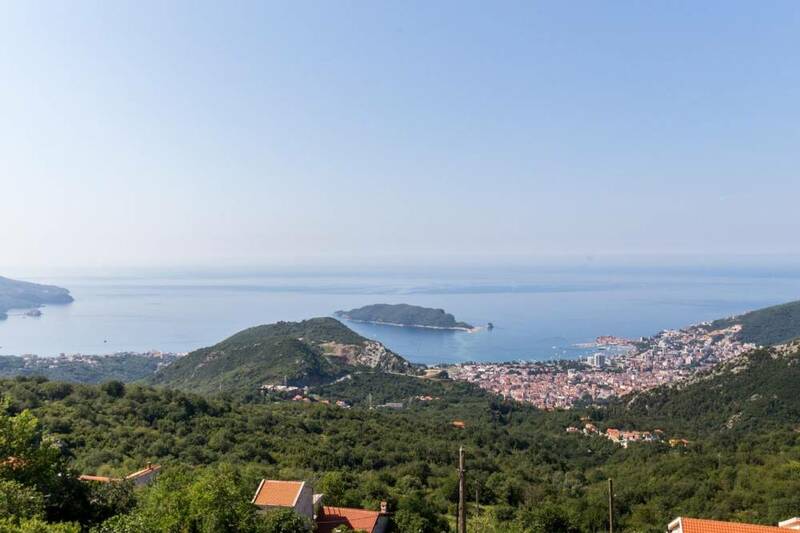 This villa is a 15-20 minutes drive to Budva and nearby beaches. 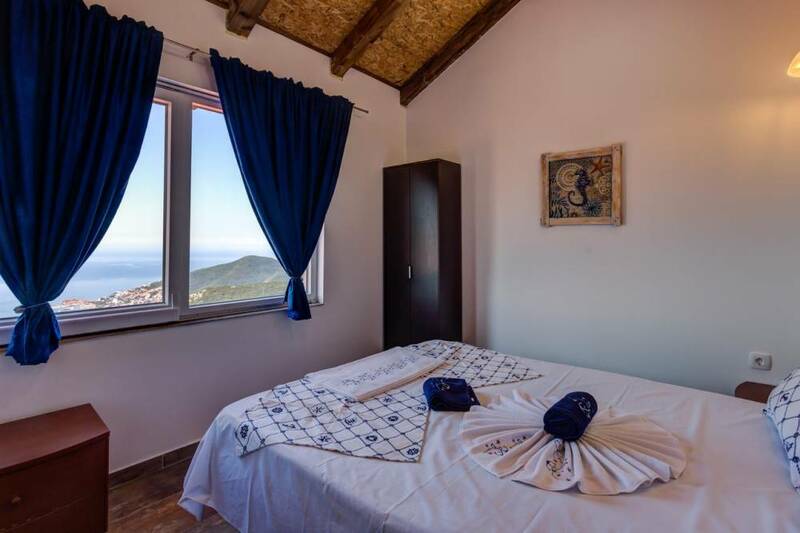 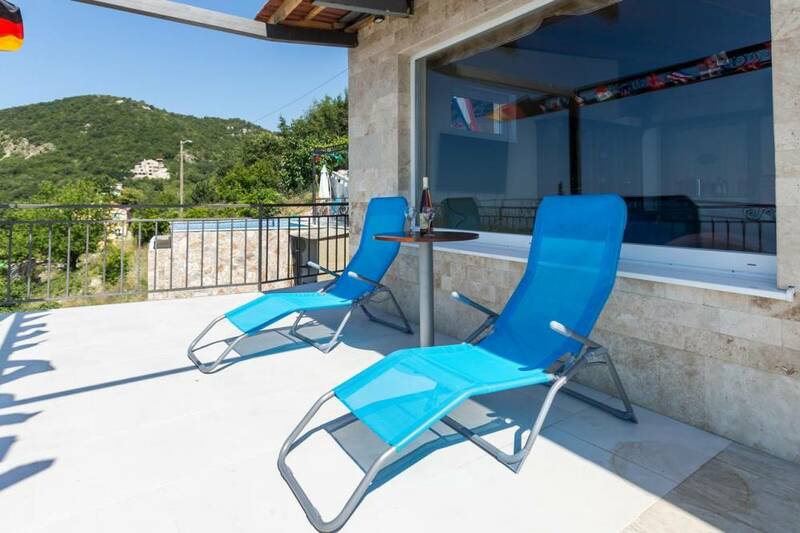 Villa Adriatic Horizonte has a sea view and is located in Lapcici, 40 km from Tivat Airport. 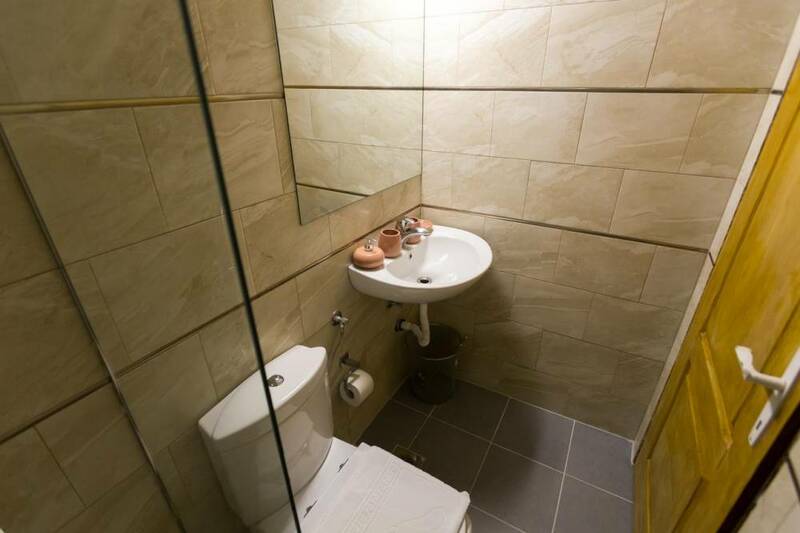 It offers outdoor swimming pools and air conditioning with free Wi-Fi .. 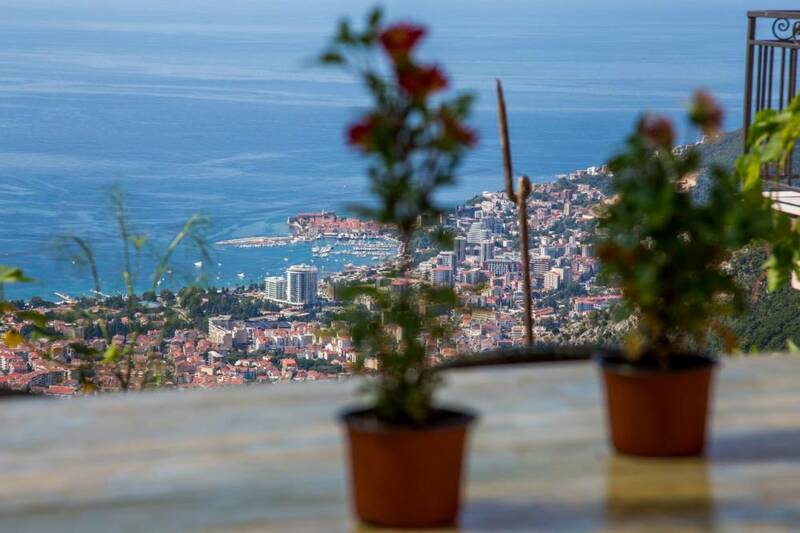 The entire villa has a view of the sea and the city. 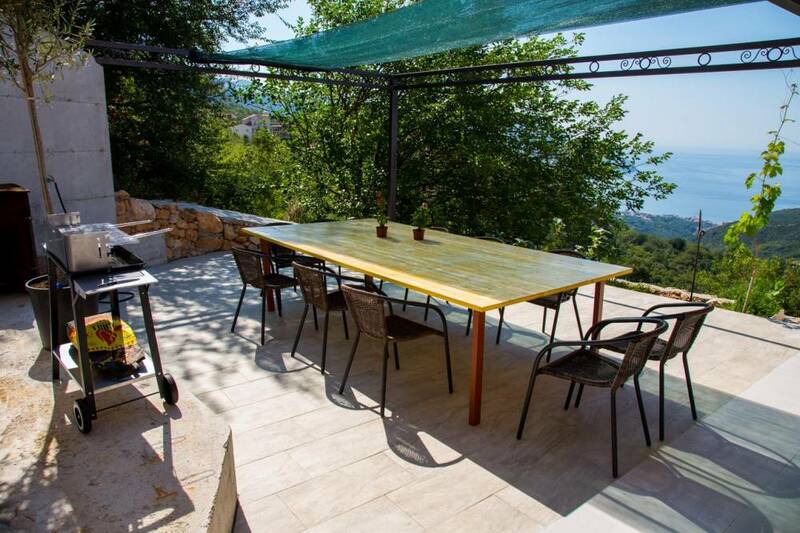 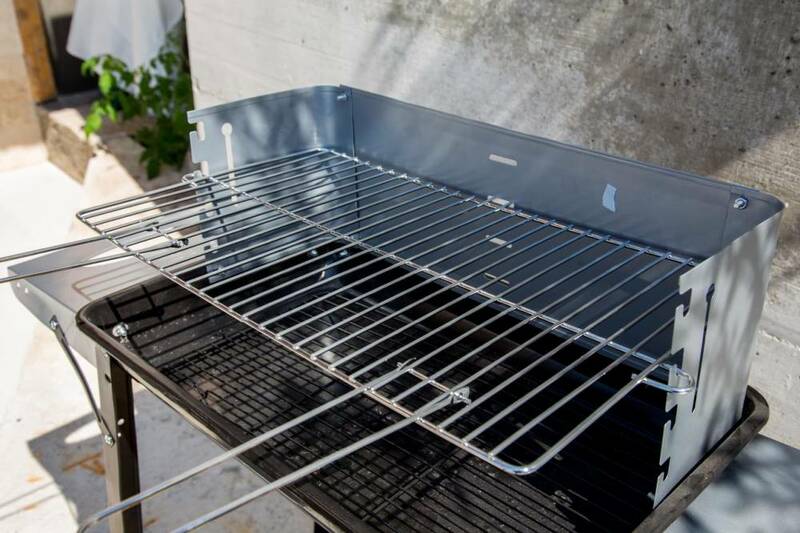 Villa Adriatic Horizonte also has a spacious courtyard with barbecue accessories.